Summary: The description, specs, photos, pricing and user ratings of the Browning Black Label Medallion Compact 1911-380 pistol. 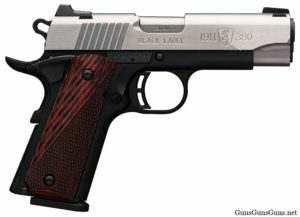 The Browning Black Label Medallion Compact 1911-380 is a 1911-style semiauto pistol built on a black composite frame with a fully machined 7075 aluminum sub-frame and slide rails, and chambered in .380 ACP. The frame is 85% the size of a full-size, 1911-style frame. The Black Label Medallion Compact from the left. 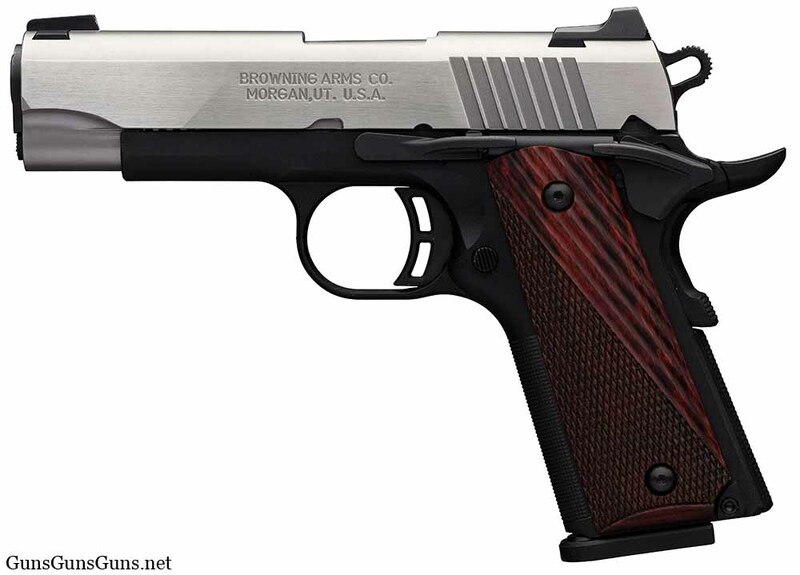 .380 ACP 8+1 3.625″ 6.875″ n/a n/a 16 oz. The Black Label Medallion Compact from the right. This entry was posted in .380 ACP, $501-$750, $751-$1,000, 1911, Browning, Compact, Full size, Semiauto on May 26, 2017 by Staff.